Renowned urban artist Shepard Fairey’s new look for Orwell’s Animal Farm Book published 2008. “Animal Farm” is one of the most famous pieces of literature ever written. It was initially published on Aug. 17, 1945, in England, and, according to its author, George Orwell, “Animal Farm” is an allegorical piece mostly based on the Russian Revolution of 1917 and events that resulted from that. However, many of the lessons taught in “Animal Farm” are easily understandable without the reader having any knowledge of who the characters are based on. This is mostly due to “Animal Farm” being easily applicable to several other situations throughout history and in the present day. After “Animal Farm” was written from 1943-44, he attempted to get it published, but it was not easy to do so as World War II was still going on, and many feared that it could negatively affect the delicate balance between the United Kingdom and the Soviet Union. But he was finally successful as Secker and Warburg took it on and published “Animal Farm” a year after it was finished. “Animal Farm” was originally called, “Animal Farm: A Fairy Story,” but the first edition to be published in the United States in 1946 dropped the final three words, and they were sporadically used in subsequent editions around the world. George Orwell, the author of “Animal Farm,” led quite an interesting life although it ended way too early as he died when he was just 46. 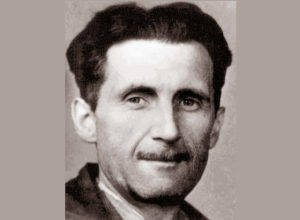 His losing a fight with tuberculosis occurred five years after his penultimate book, “Animal Farm,” was published and a year after his final one, “1984,” was. He spent much of his life in England although he was born in what is now India and also spent time in what is now Myanmar as well as France and Spain. All of his experiences in those countries played significant roles in what he decided to write about and in his style of writing. The “Animal Farm” author’s first book, “Down and Out in Paris and London,” was published when he was 29, in 1933. That was also when he took the pen name that he has been known by ever since. Prior to that point, he had always used his given name, Eric Arthur Blair. The famous “Animal Farm” author ended up writing nine books before he died. He’s now buried in Sutton Courtenay, England, with a basic headstone that simply provides his birth name and what years he was alive. “Animal Farm” tells the story of animals who rise up against Mr. Jones and his men and throw them off the farm so that they can enjoy the spoils of their work themselves. This appears to be going well for a little bit, but that honeymoon period does not last long as the pigs, the smartest ones on the farm, start taking more and more power. Although they say that they are doing it for unselfish reasons, it appears that the pigs’ reasons are in fact quite selfish, and they and the dogs that protect them end up being the only ones to truly benefit from what the rest of the animals produce. The lesson learned from “Animal Farm” is that oftentimes things never really change in the end as the pigs ended up having the same amount if not more power than Mr. Jones ever did, and the pigs and humans are so similar by the story’s conclusion that the rest of the animals could no longer tell them apart. Mr. Jones was the owner of Manor Farm, but, in the second chapter, he was chased off it by the animals. Other humans to play roles in “Animal Farm” included Mr. Whymper, Mr. Frederick and Mr. Pilkington. The pigs are generally thought of as the more intelligent ones on the farm. The major characters in this animal grouping are old Major, Napoleon, Snowball and Squealer. Old Major got the ball rolling by firing up the rest of the animals with a passionate speech in the novella’s first chapter. He also shared, “Beasts of England,” a song that was sung with passion by rebellious animals throughout “Animal Farm.” Napoleon and Snowball battled for power before Napoleon got his way by using the dogs that he had trained to chase his opponent off the farm. Squealer then acted as Napoleon’s one-pig public relations department. However, the other horses and donkeys played significant roles too. Mollie, despite not being mentioned often, was interesting in that she was so unlike the rest of the animals and was so easily led astray and into a different area of the community. Clover seemed smart enough to figure out that the commandments were being changed but fell just short of fully being able to do that. Benjamin ended up being arguably the smartest one on the farm as he didn’t expect much to change in the long run after the pigs took over, and he was right. Several other animals also played pivotal roles in “Animal Farm.” The dogs serve as the pigs’ bodyguards. The raven is an evangelist. The sheep are not smart but are easily trained to bleat, “Four legs good, two legs bad,” at moments that help keep any opposing views to what had been discussed prior to that occurring from being voiced. George Orwell admitted himself that “Animal Farm” was a satire on the Russian revolution. He wanted to communicate that this type of revolution can only result in a change in leadership but no real change occurring within the masses underneath them. Many view old Major as representing Karl Marx and Vladimir Lenin, individuals who set the stage for revolutions to occur. Napoleon has been compared to Joseph Stalin, who utilized brute strength to take power, killed those who disagreed with him and worked the proletariat until they could give no more. He’s also compared to Napoleon Bonaparte. Snowball mostly represents Leon Trotsky, who attempted to lead in a manner that was for the good of the people but was banished by someone with more strength. Squealer is often compared to Vyacheslav Molotov, one of Joseph Stalin’s biggest supporters. He also represents propaganda in general. The pigs who initially voiced displeasure with Napoleon taking over and were later executed have been compared to humans who suffered a similar fate: Nikolai Bukharin, Alexei Rykov, Grigori Zinoviev and Lev Kamenev. The agreement between Napoleon and Mr. Frederick and subsequent invasion by Mr. Frederick and his men in “Animal Farm” have been compared to the Soviet Union and Germany agreeing to not be aggressive with each other but, after a short time period elapsed, Germany proceeding to invade the Soviet Union. Moses represents the power of religion in oftentimes suppressing attempts at revolution. The sheep have been compared to state-controlled press in how they just pass on what the government tells them. Boxer and Clover represent the Russian workforce during this period in time. Mollie represents those who are more focused on material things and avoids politics as much as is possible. 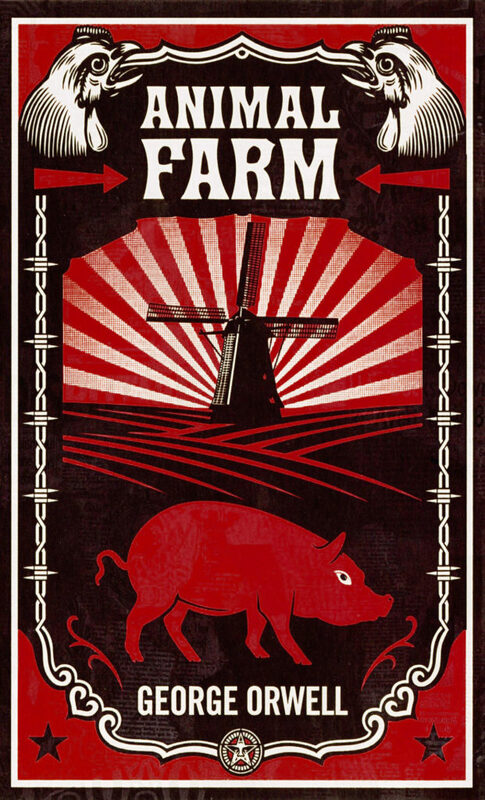 Of course, much of “Animal Farm” criticizes the use of propaganda. This is mostly through Squealer who, as the author put it in the second paragraph of the novella, “could turn black into white.” This skill set is used to its upmost throughout the rest of “Animal Farm” as he explains away the vicious things that Napoleon does and convinces the animals that things are better off then than they were before. However, one of the most obvious examples of the use of propaganda in “Animal Farm” is by how the commandments were gradually altered throughout the telling of the story. This is a great use of propaganda as changes are much more apt to be accepted by the masses if they are given gradually, not suddenly. For example, at the end of the second chapter, shortly after the rebellion, the commandments were revealed, but they were then gradually changed throughout “Animal Farm.” In one case, “No animal shall kill any other animal,” is changed to, “No animal shall kill any other animal with cause.” That helps explain why Napoleon was allowed to have all of those animals who confessed to being involved with Snowball executed as he clearly, from the animals’ perspective, had cause in those cases. Then, near the end of “Animal Farm,” all seven commandments got reduced to one, which was the original seventh one, “All animals are equal” but expanded out significantly to now read, “All animals are equal but some animals are more equal than others.” If they had attempted to have that be one of the commandments – or the only one – at the initial unveiling, it would have never been agreed upon. However, gradually heading in that direction with the help of propaganda allowed it to be accepted. Although initial critical response was mixed, “Animal Farm” has stood the test of time and is now one of the most respected books ever written. Some of its most famous accolades include being mentioned as one of the “Great Books of the Western World” and having Time magazine name it as one of the all-time 100 best English-language novels. In the decades that have followed, schoolchildren from throughout the world have read and learned from “Animal Farm.” Of course, adults have taken quite a bit from it as well. Unsurprisingly given how famous it is, “Animal Farm” has often been adapted into differing types of media. The most well-known ones are the 1954 and 1999 films. The former was an animated feature while the latter included live humans and animals. However, the endings for both of those productions differed significantly from the book. In general, the 1954 film is judged to be the better of the two. A pair of radio adaptations of “Animal Farm” were broadcast on BBC in 1947 and 2013. The former one was listened to at the time by George Orwell himself. “Animal Farm” has also been performed on stage, and it has been adapted into a comic strip as well. Additionally, an “Animal Farm” video game is in the works. Many of the themes in “Animal Farm” were carried over into “1984,” the main difference being that the allegorical connections were with human representatives in the latter book versus the animal ones in “Animal Farm.” Both of the books involved totalitarianism, both of them ended up more negatively than they had started, and both involved the masses not being smart enough or being intimidated enough to not ask questions of their leadership or muster much of a revolt in the end. Also, Napoleon started to become stealthy later in “Animal Farm,” not coming out into the public eye very often, which was similar to how the leaders in “Nineteen Eighty-Four” tended to work behind the scenes and not really be seen publicly either. The biggest difference between “Animal Farm” and “1984,” other than that one mostly uses animals to tell the message and the other uses humans, is that “Nineteen Eighty-Four” is more focused on one person’s experiences, Winston Smith. Conversely, “Animal Farm” is told from more of an outsider’s perspective with a fairly balanced view although it is true that the focus is placed on the proletariat.